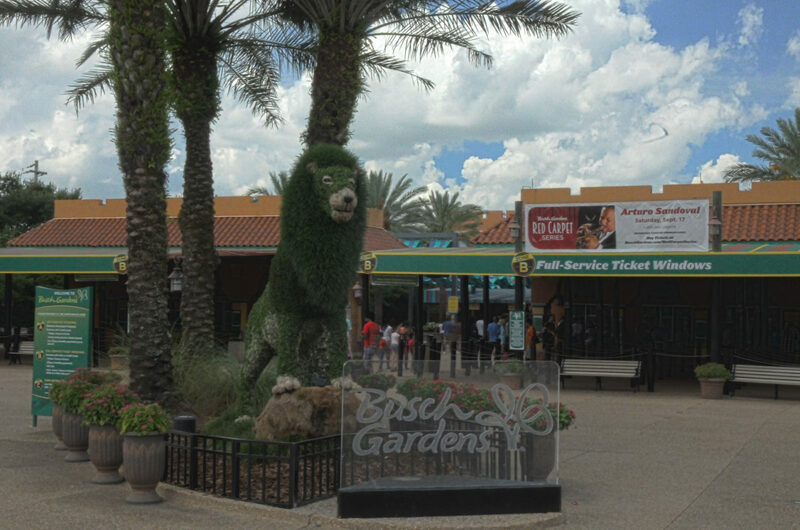 Busch Gardens Tampa is only a 60 minute drive from the door of Hills Bay Hideaway, and is home to some of the best rides and attractions in Florida. The sister Florida theme park to Seaworld Orlando, Busch Gardens Tampa provides both education and thrilling experiences all in one place. As with all of the major Florida theme parks, Busch Gardens Tampa charges for the privilege of parking your own car. The cost at the time of writing is $20 per day. Valet & disabled parking are also available (additional fees apply were appropriate). You have two options as to how you arrive at the park entrance, you can take the 5 to 10 minute walk, or the more relaxing tram ride, although depending on the time of day, these can be congested and wait times increase. The park itself is set out very well and has two distinct routes for guests to take depending on their choice and order of attractions. There are plenty of eateries located throughout Busch Gardens Tampa, each offering a different cuisine and of course each attracting a different price range. Drinks can be bought on an individual basis, or alternatively guests can purchase a Busch Gardens cup complete with lid and straw, which can be refilled throughout the day of purchase. For those who bought a cup on a previous visit they have the option to pay a one off rate to allow refills throughout their visit.